A “bad” boss can turn the office environment into an unbearable workplace! If your boss behaves badly at work, then it’s up to you to change this situation. In many companies, people in a higher position may be constantly and intentionally screaming at you without any reason. But, if you just stand it and do nothing, this situation will not change, but it will become even worse. The following tips can help you re-think the way you can deal with a “bad” boss at work. The sooner you discuss the problem with your boss the better! Choose the appropriate time for discussion and avoid approaching him in the middle of a meeting or at the corridor. Make sure that you are in a quiet place or in a quiet office, in order to stay focused on the problem and to remain calm. Explain to him the consequences of his actions on your work and on the company and suggest some solutions for a positive change. Classify your boss under a “category”! (c) Not be interested in learning from his mistakes. Most of the employers, who annoy their employees, simply ignore their mistakes, while some of them try to improve their communication. Finally, to the third category belong those who consistently refuse to acknowledge the mistakes of their behavior, and as a result it is not easy for them to change. If your boss can’t appreciate your efforts or accept his mistakes you can turn to upper management (if possible) or you can try and pursue another position within the company. In case your boss still attempts to put you down or to slander you… you will have to defend yourself. In general, make sure that all communication between you and your boss takes place in front of others. 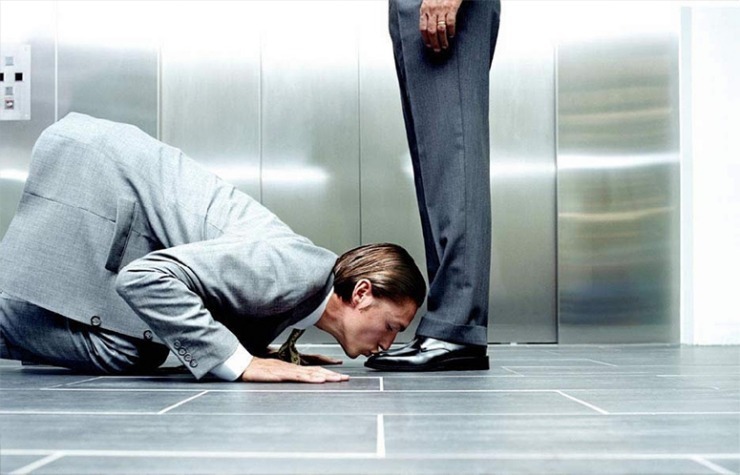 Praise your boss… but don’t overdo it! A “thank you” to your boss after a successful job… can do only good to you! A nice word, when the other deserves it, is a tip that will bring you closer to your boss. There is no need to get into fake flattery, because the result will be negative! Besides, this way, if you need any advice, you will be able to ask for his help more easily and without being nervous. Even if your boss behaves in an unacceptable manner… don’t think of payback. You have to fight this temptation and understand that a bad behaviour will make the situation in the office worse. Keep your professionalism and try to make a positive impression to other managers. Be active regarding your sociability and who knows…, you may benefit from it! A good sense of humor is the perfect solution to an unpleasant situation. Instead of being upset after the last meeting, try to laugh with the incident. Discuss it with your closest colleagues and predict using your humor your boss’s next movements. Be careful, though! Even from a political point of view, such a move is quite risky for your position in the company, since your intentions may be communicated to your boss by some of your ‘nice’ colleagues. Try in every possible way to overcome the mistakes of your boss through laughter and next time you will realize that this situation will not affect you that much. This text is very important for me~ All I have to do is deal seriously with my boss for improve the relationship.